Looking for the perfect new gutter system? New, fully functioning gutters are one of the wisest home improvement investments you can make. And our seamless gutters offer you the best choice! 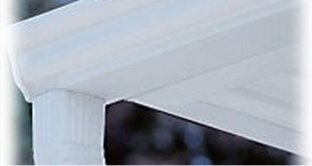 Seamless Gutters are nationally recognized as the most popular form of guttering. Seventy-five percent of all rain gutters installed in the U.S. are seamless gutters. They are available in many styles and a wide array of colors, assuring a perfect match for any home.